Flogging the Quill: Flogometer for Robyn. Would you turn the page? Flogometer for Robyn. Would you turn the page? Contest coming next week! 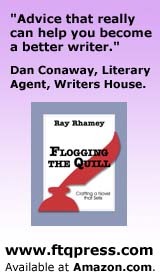 How would you like to win a signed copy of Flogging the Quill, Crafting a Novel that Sells? 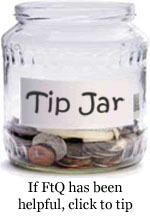 On Monday I’ll launch a contest that involves a line of narrative from your WIP. Stay tuned. Anna threw open the barn door, smiling at her horse. She smelled Fancy’s hay-fresh breath as they began their usual early morning mission to outstare each other. Anna jabbed her boots in the dirt, determined to win. Fancy toughened her stance, and swished her tail. Her stare pierced through her black mane that hung down to her eyelashes. At that moment, Anna’s eleven year old brother walked in, with his hands stuffed in his back pockets. She pushed the wheelbarrow into a stall and started mucking. “I gotta get my chores done, before Claire gets here.” Anna said, as she picked up a fork full of poop. “Wouldn’t you rather be talking to Claire?” Ian pointed toward the door. There’s nice writing, and a sweet voice for the girl, but not much in the way of compelling tension. I’m no expert in middle-grade fiction, and they may give you more time to set the scene with a little “throat-clearing,” but it wouldn’t hurt to start with more tension. The protagonist is a diabetic, and it seems clear that her dealing with that will be a factor. But that can be woven in later, as troubles come up that her condition complicates. Some brief notes, and then more thoughts for Robyn. She pushed the wheelbarrow into a stall and started mucking. “I gotta get my chores done before Claire gets here.” Anna said, as sShe picked up a fork-full of poop. “Let’s ride! We need to make it home before the storm hits.” Anna asked Fancy for a simple jog-trot. Fancy rose into the gait smoothly and with Claire and Rundee following close behind, she rode toward the opening. Anna looked up into the black, gloomy clouds and knew they were in trouble. Think about it, Robyn. Oh, one continuity hiccup I noticed: on page 3 you have Claire rubbing her horse’s nose, but they have walked out of the barn, and the horse’s presence, either in or out of the stall area, has been set up. He just appears out of nowhere.